On May 17, 1967, a turnaway crowd of over 5000 plus fans packed the Civic Auditorium to witness a professional wrestling card by promoter Ed Francis. In the opening match, Kongozan defeated Paul Diamond. In the next match, Catalina George Drake wrestled to a draw with Karl Gotch. In a tag team match, The Missing Link and Lord Tallyho Blears defeated the team of Hans Mortier and Beauregarde. Lord Tallyho Blears delivers a fist to the chest of a grimacing Hans Mortier. A battered Beauregarde lies flat on his back after being thrown out of the ring. 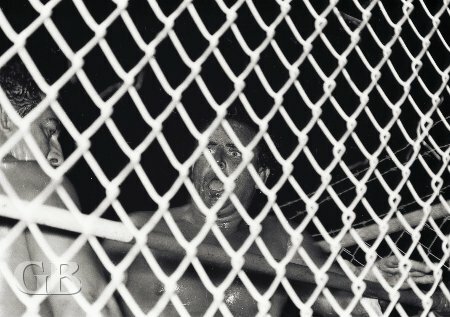 The main event featured a tag team cage match between Jim Hady & Johnny Barend against the team of Ripper Collins and Curtis Iaukea. 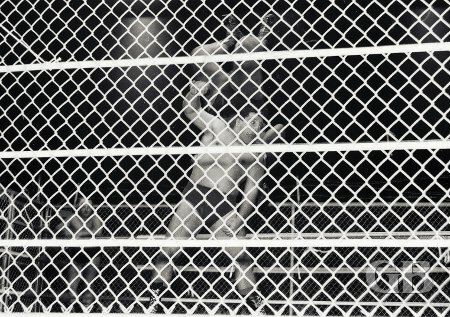 The entire ring was enclosed by an escape-proof steel cage. 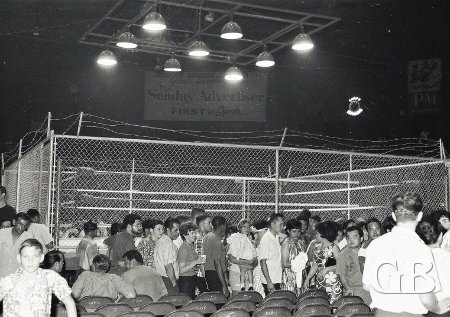 A special crew was brought in to construct the steel cage around the ring while eager fans waited in anticipation. The end result of the match had Hady and Barend defeating the team of Collins and Iaukea. The Missing Link goes for a submission fall with his devastating bear hug on Hans Mortier. A fired up Johnny Barend ready to do battle beside his partner Jim Hady. 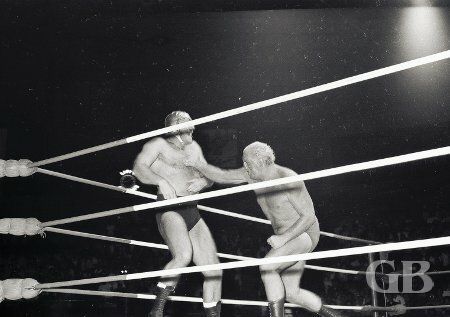 Jim Hady powers a punishing back drop on Curtis Iaukea. 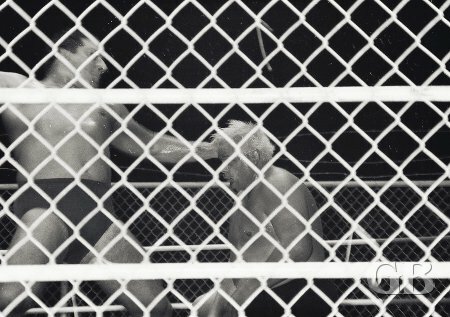 Jim Hady about to split open the head of Ripper Collins. Ripper Collins takes a bite out of a stunned Johnny Barend. This match is a no disqualification match. Jim Hady delivers a wicked knee to Curtis Iaukea's chops as Ripper Collins watches from his corner. A cowering Ripper Collins prepares of an onslaught of fists from Johnny Barend. Fuji assists Curtis Iaukea as they pull a battered and bleeding Ripper Collins out of the ring cage. The sellout crowd leaves the Civic after the match. 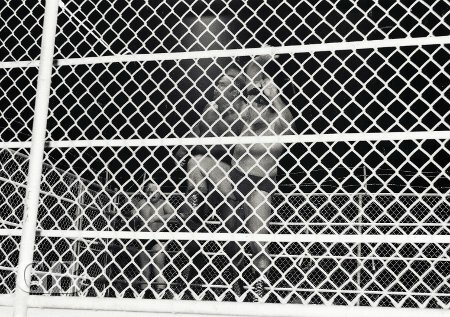 Note the barbed wire on top of the cage walls.